So what’s going to happen when the market comes back next week after Labour Day? More of the same I suspect. Interest rates are still at record low levels and the demand for houses continue to outpace supply. I read this morning that there is a serious lack of detached homes available for sale in the downtown core at the moment. We will see more turn up next week but they will likely get snatched up quite quickly. It’s not the increased supply that I’m looking forward too, but rather playoffs in Toronto for the first time in the fall. Both the Blue Jays and TFC are looking good to make it to post-season play. Let’s hope that they do us proud. It has been reported over the last six months that the average selling price of a Toronto (416 area code) detached home has pushed well above $1 million. The Toronto Real Estate Board says the 416 average detached price rose 18 percent year-over-year to hit $1.052 million in July. In the 905, the average is closer to $740K. Supply is tight when it comes to detached homes in this city, and demand is still very high. Sales are up some 12 percent year over year. Over 12,000 properties changed hand in June. It is not only detached homes that have seen these percentage increases. Condos, semis and townhomes are up as well. The average has been brought up by the sales of pricier homes in top Toronto neighbourhoods. I believe that since there were fewer listings than normal in the first few months this year, this has helped keep the prices this high. Toronto has now become like Vancouver and other leading world class cities insofar as prices for detached homes. Many are still touting Toronto as one of the greatest places in the world to live and do business. My feeling is that with prices this high, there are likely going to be a lot of new home-owners in debt for a long time. I think a lot of younger home buyers are being bank-rolled by their parents and they are able to take advantage of historically low interest rates. Many are also getting on the property ladder with low deposits and very little equity in their homes. Some experts may feel that a decline or “crash” is coming, but I’m not so sure about that. The population has been steadily increasing. Also, it is quite easy for foreigners to come into Toronto to buy real estate which I believe has fueled a lot of the growth – especially in the condo sector. It is a landlord’s responsibility to maintain their rental unit in a good state of repair, even if the tenant was aware of problems in the unit before they moved into it and the lease says that the tenant is responsible for maintenance. However, the tenant is responsible for keeping the unit clean, up to the standard that most people consider ordinary or normal cleanliness. The tenant is also responsible for repairing or paying for any damage to the rental property they caused or caused by their guests or another person living in the rental unit. Municipal safety, housing and maintenance standards usually state that it is the owner’s responsibility to make sure that the property can be safely entered and exited. The RTA does not address snow removal directly. It only says that it is the landlord’s responsibility to make sure that the property is kept in a good state of repair, is fit to live in and complies with health and safety standards. If you file an application to the LTB about snow removal, the member (adjudicator) would decide whose responsibility snow removal is. If you live in a mobile home park or land lease community, the landlord is responsible for snow removal. If you are a tenant you cannot legally withhold rent because your landlord isn’t properly maintaining the premises. Talk to your landlord first about the problems. Put the problems in writing and give the list to the landlord or the person who takes care of maintenance (for example, to the superintendent or property manager). A good landlord you will tend to these issues right away. If the landlord refuses to do the repairs or you think that the landlord is taking too long to deal with the problems, you can put in an application with the Landlord & Tenant Board. You can raise your maintenance issues at the hearing. The LTB can make an order to get the issue fixed. Before the hearing, you should let your landlord know that you are going to raise these issues. You can do this in writing, or by talking to the landlord in person or by phone. At the hearing, bring any people you want to use as witnesses plus three copies of any evidence (for example, receipts or pictures). The Toronto Landlord & Tenant Board is located in midtown at 79 St. Clair Avenue East, Suite 212. As a landlord you can only evict a month-to-month tenant if you or your immediate family (mother, father, son or daughter), intend to take over the suite. Here are the straight facts, taken from the directly Plex website where you can visit to get more detailed information on the Ontario Residential Tenancies Act. If you decide that you would like to move into one of your rental units, you are entitled to evict the tenant that is currently occupying that suite only at the end of their current lease term. In other words, you can’t ask a tenant to leave until their lease is over. There are no exceptions to this. You also have to give that tenant at least sixty (60) days prior written notice. If the tenant is month-to-month you still have to give the full sixty day notice. Perhaps the most important thing to remember is that you must use the correct and prescribed forms as is set out in the Residential Tenancies Act. In this case the form is called an N12 – and it must be filled out correctly. The form is available in PDF format here. 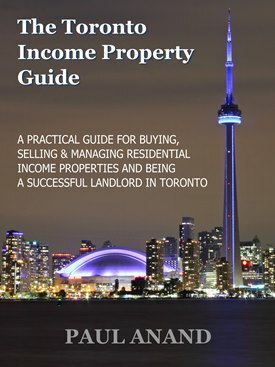 If you do not follow these rules, the tenant can refuse to leave and you may be forced to get an eviction judgment from the Ontario Rental Tribunal – which has been created for the express purpose of mediating landlord/tenant disputes. If you are not sure how to proper to fill out this form, please contact your lawyer or give us a call and we will happily guide you through the process.